Who says DIY t-shirt revamps are just for women? Pretty sure men appreciate an original, customized t-shirt too. Especially if it’s been made with lots of love! 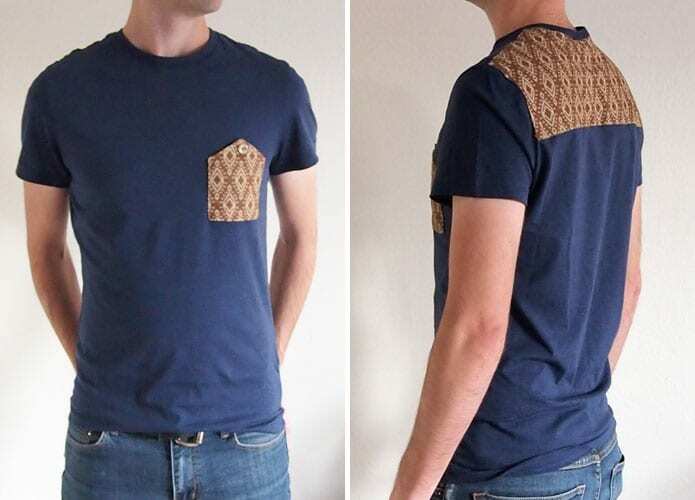 Here's a free sewing tutorial on how to customize mens t-shirt with upside down pocket. Learn how to sew mens t-shirt with this FREE Sewing Tutorial.